Powerball Assistant Is Experiencing Problems! The server where the Powerball Assistant gets its information is currently experiencing problems. This is causing problems with the Powerball Assistant iPhone app. The problem is being addressed and will be fixed as soon as possible. We are sorry for any inconvenience that this is causing. 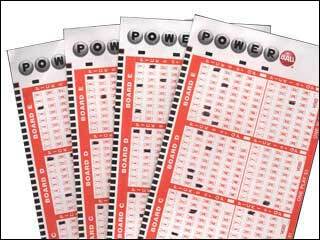 Powerball Assistant is convenient and easy to use but some people will still have trouble knowing what is what. This page is designed to give a brief explanation of each section of the app. Check back again soon because more help files will be added and a YouTube video is also possible. The Lone Programmer reminds you to play responsibly and to help keep apps free by supporting the app advertisers or by using other services offered on this site. About using this web site and the Powerball Assistant app. By using or accessing this website and/or the Powerball Assistant app, you are accepting all the terms of this disclaimer notice. If you do not agree with anything in this notice you should not use or access this website or the Powerball Assistant app. Use the form above to report bugs. Use the form above for suggestions! Keep apps free by supporting the advertisers or by using our services. Check them out!